The structure of a Modernistic franchise ensures success by providing the tools and freedom necessary for unlimited growth. Only pay one monthly territory fee instead of royalty fees based on gross sales. Receive support from Modernistic that will save you time and money. Modernistic consultants give you the most up to date information and knowledge relating to the industry to help you improve your business operations and maximize profits. Learn office systems and procedures, marketing, field operations, product information, and more from experienced professionals in the industry. There are many firms that solely provide residential carpet cleaning, commercial carpet cleaning, or other specialty carpet services. As a Modernistic franchisee, you have a competitive edge in that you will provide all of these services and more. We have franchises territories available in 37 states. Modernistic uses the most advanced truck-mounted carpet and upholstery cleaning equipment available. This powerful equipment extracts dirt and grime from deep within carpet fibers and upholstery fabrics. Rotary and carbonated systems don’t do this. They can leave behind sand and dirt that will cause accelerated wear and shorten the expected lifetime of a carpet or fabric. 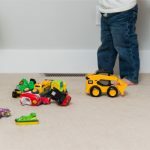 With regular vacuuming and prompt cleanup of spills, soil-resistant protection can help maintain a carpet’s bright, freshly cleaned look for a remarkably long time. 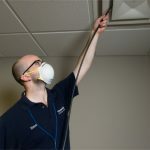 Our deodorization techniques help to eliminate odors resulting from smoke, pets, floods, and other sources, leaving areas pleasantly fresh.